Have you ever come across an efoil? Actually, that’s a pretty cool sort of surfboard which almost makes you fly above the water. One of our CAESES® users, David Vukovic, recently approached us in the context of the propeller design for his Flying Rodeo board. They offer this amazing efoil, hovering 1 m above water with a speed up to 50 km/h! At the same time, the rider is still able to maintain a perfect balance. The entire kit weighs only 15 kg, which means you can take it with you wherever life may take you. “The combination of light wings and an electric motor, which drives the propeller, makes Flying Rodeo an environmentally friendly craft. So enjoy your ride without any emissions, noise and waves!”, continues David. David uses CAESES® to generate the propeller blades for the efoil designs. In the context of 3D printing, especially the tip thickness needs to be adjusted to the required minimum thickness. The CAESES® propeller model provides all these controls and allows David to quickly adjust, export and 3D-print a new design. 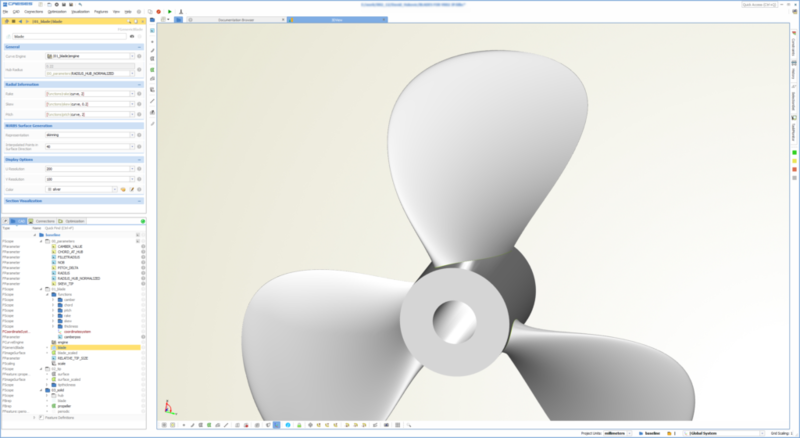 More details about general propeller design with CAESES® can be found in the marine section. Feel free to get in touch with us if you need an advanced propeller design for your application. Further details about the Flying Rodeo efoil are given on the Flying Rodeo Facebook page. 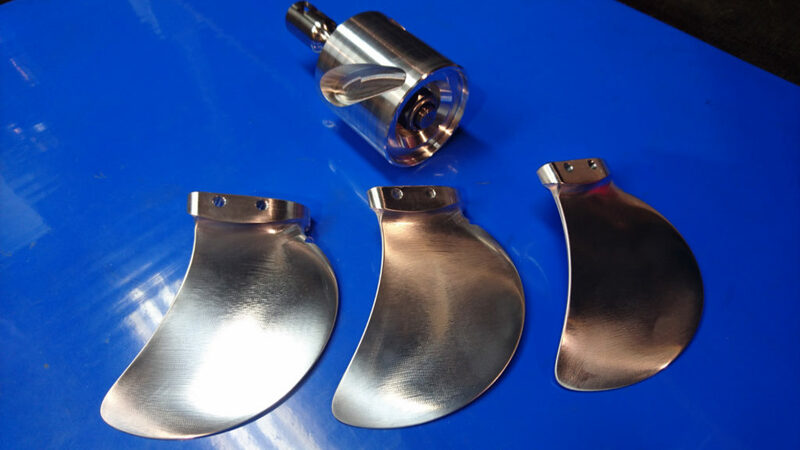 Besides this article about efoil blade propeller design, there is another blog post which gives some more insights into jet impeller optimization for an electric hydrofoil surfboard – efoil with stunning results. We will send you the contact information via email. Is it possible to buy such a flying rodeo propeller? It also allows you to design a propeller and download the geometry for 3D printing, for instance. Love what Flying Rodeo has done, last year we built a jet powered efoil kit that bolts onto any hydrofoil as well which we call it the VeFoil Project and share our build progress on YouTube and on our site http://www.VeFoil.com. I can’t wait to test the Flying Rodeo myself. Looks like the race car of eFoils. I would love to create another article around your foil.